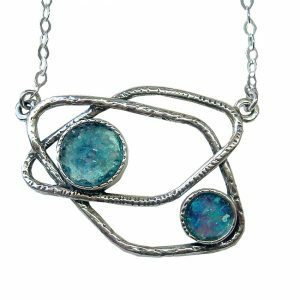 Amazing Pisces Design necklace created with 925 silver and Unique Roman glass . 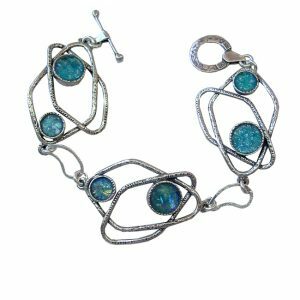 Lovely Gift for Her .This beautiful necklace is set with a six small round pieces of ancient Roman glass multicolor of aqua, blue and greens. 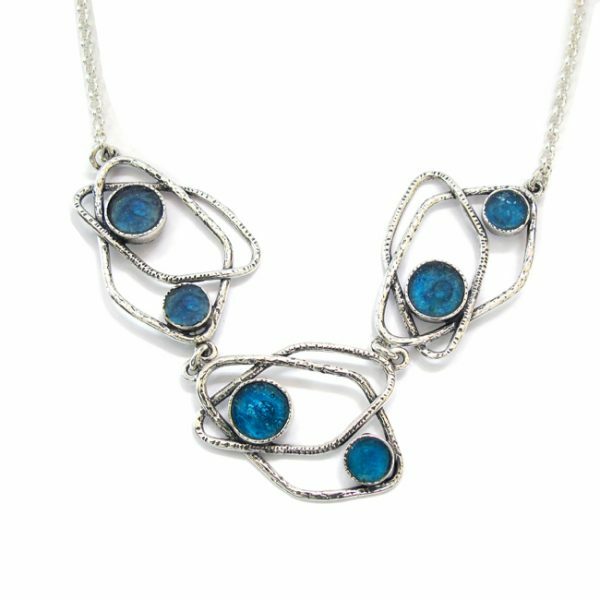 The setting is sterling silver with an organic, modern design. This is a stunning, one of a kind artisan piece. Great way to wear ancient history around your neck! 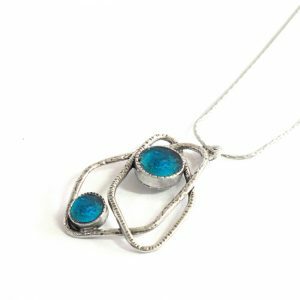 An exclusive collection of handcrafted jewelry unique combination of Sterling Silver blended with shards of 2,000-year-old antique Roman Glass creating the most magnificent pieces of jewelry. 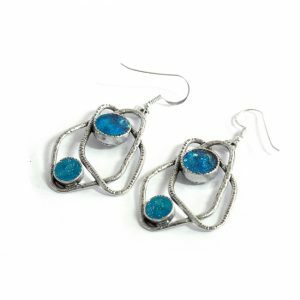 The Roman Glass used in my jewelry has been discovered at the archaeological sites of the Roman Empire in Israel. Each piece of Roman Glass is examined and certified for authenticity by the best experts in the Roman Glass field.